March is National Crochet Month! I've asked some of my favorite crochet bloggers to share with us how they learned how to crochet, I had so much fun reading their answers, and I hope you will too. Be sure to check out each of their sites by clicking the link after each story for more crochet goodness! After reading, be sure to comment below and tell us how you learned how to crochet too! I was taught how to crochet by my grandmother when I was little. I never did more than glorified scarves. That changed when my best friend was expecting her first child. It has all been uphill from there. August 2011 I taught myself to knit with a book because I was bored at home and I thought that crochet was much harder. Then in September 2011 I decided to learn crochet. I got a book and made a flower. I was laughed at by family, but I still kept doing it. A few months after that I wrote my first pattern. They may still laugh at me, but I enjoy what I do. Not everyone can say that. Late in June, 2012 is the first time I grabbed my crochet hook. I taught myself to crochet from various crochet videos on Youtube and didn't realize it's when the serious "spinning wrist" syndrome hooked me up Soon, I started my blog "Be A Crafter xD" as well as my crafting adventure. My Aunt Viola taught me how to crochet when I was a teenager, visiting her family in Wisconsin one summer. I already knew how to knit, having learned from my mom at around age 10 and had done some embroidery too. I switched almost exclusively to crochet in my 30s. We had an "enrichment" class when I was in the 7th grade. One of the choices was crochet. My 7th grade science teacher, Kathy Watts, taught me, and I've never stopped. My Mom taught me when I was 8 yrs old. It was a BIG challenge for both of us, because she is right handed, and I am left handed. Someone finally told her to have me sit FACING her, instead of next to her, and VOILA! I learned! My first project was a belt~LOL, and the next one was a granny square afghan~ONE BIG GRANNY SQUARE Now, I crochet constantly, design my own patterns, have taught my 13 yr old daughter, who is right handed, and she has started designing HER own patterns. When I was 6yo, visiting my maternal grandmother, she saw me fidgeting with her collectible figurines. To keep me busy, she gave me a hook and some yarn and showed me how to make a chain. I don't know how long I sat in that chair, but I would make a chain that hit the floor, rip it out and chain again. That's all the crocheting I did- ever- until my son turned 2. I was going crazy being home and decided to give it a try. What could I lose? I'd already lost my mind. I designed my first amigurumi the second month and have been designing and writing patterns ever since. I made her an afghan for Christmas 2013. Shortly after, she turned 100 and passed away in her sleep. She changed so many lives and was very pleased. I had tried to teach myself from a book but it wasn't until my sister-in-law showed me the basic stitches that it clicked! From there I was off on a love affair that's still going strong! I was born into a tangle of yarn.. My Gram's has crocheted all her life, and started teaching me before i even learned to hold a pencil. I made finger crochet chains that seemed to go on for miles out of all her odds and ends. I made my first afghan when I was 7, and now at 45 I am creating my own designs and writhing patterns. I've come a long way, thanks to her patience, and teaching. She will be 97 this month, and can no longer crochet, but I know she admires my work. She and I have come full circle. I taught myself to crochet from a library book I checked out from my local library when I was 15. I was always at that library because I loved to read. I went to Kmart and bought some cheap yarn and F-hook and stayed up all night learning the stitches from the book. I was hooked ever since. My grandmother taught me to crochet when I was 8. She taught me how to do a granny square. She said I wasn't ready to learn anything else, so I started designing immediately and designed my first doily at age 8. She wouldn't teach me anything else. I never stopped designing and wasn't aware of patterns until I was about 18 or 19. I learned to crochet online when I was on bedrest for 10 weeks with my now almost 5 year old. I would watch the mikey's mail and art of crochet ( now thecrochetcrowd and crochet geek) over and over until I would get a new stitch or project. Then I start combing projects and before I knew it I was making my own designs. I learned how to chain and sc from my grandma. I book taught myself all the rest. My mom taught me to crochet when I was fairly young but I didnt get excited about it until I had to cut back on knitting due to aching wrists. Weird that i can crochet 8-10 hours at a time without pain. It has been more than thirty years since I made that first wash cloth and now I crochet and design full time. I love every second. My aunt taught me when I was 12 years old, 45 years ago, I have small hands and knitting needles made them ache, so crochet was brilliant for me, I now run my own crochet business full time. My grandmother taught me to crochet when I was 10 years old, She was a little Irish crochet powerhouse!... A friend at work taught me how to read patterns when I was in my 20's and I have never stopped crocheting!! I have now been crocheting for 40 years and named my blog after my grandmother, Beatrice Ryan! When my second child was 6 months old my husband got a job that moved us to Japan! It was an amazing and wonderful adventure, BUT we had to be careful about what we packed so I couldn't bring anything crafty or creative (like my sewing machine, etc... After the first few months, once we got the hang of things over there, I started to get bored. My sweet MIL knew this so for my birthday she sent me a "how to crochet" book in English (I had mentioned before that I was interested in learning) I found this great yarn shop just down the street so it was just perfect! for Christmas my MIL sent me a thread crochet book I asked for and by the end of the year living there I was designing my own patterns! Crocheting is my homesick relief. 3 years ago we moved here in Mexico and boredom kills me. I don't have job and friends yet that time. I'm always online 24/7 and accidentally I saw a video on YouTube of how to crochet a flower, that's my first crochet project and it took me two days. I became interested in crochet until around 10 or 11 years old. I didn't do anything with it really until I was pregnant with my oldest 8 years ago. Total disaster. Once she was born though I was with a lady I used to know who broke it down for me and the rest is history. It's all about your learning style. Jessie from Jessie At Home wrote a great post too on her blog about her crochet story too, such a great read! I learned to crochet whilst my big brother was in ICU and I sat vigil by his bed for 49 days. Knitting needles were annoying him with the clickety click and told me to find something Quieter. The nurse suggested crochet. A tiny mobile phone watching videos, and I have fallen in love with it ever since. My future MIL (she's most definitely my MIL now) taught me to crochet in college when I was stressed out over Biology and Chemistry finals. She sat me down and taught me a pattern that I now know was a ridiculous place to start, but the repetition was amazing for my frazzled mind. For years, the only thing I knew how to crochet was that pattern. In 2007, I was placed on hospital bed rest for 12 weeks while pregnant with my twins. I was losing my mind watching Law & Order reruns when I realized I had internet access. I found video after video on YouTube, yarn and hooks on Amazon, and a nurse who did not mind bringing me boxes when UPS delivered them to the hospital for me. Crochet brought me peace while I waited for the Twinjas to cook some more and, today, it brings me joy to create and share with others. I started my Tw-In Stitches blog as a place to share the things I made, but started sharing my patterns when I just couldn't contain my excitement after creating something that worked. Who taught CuriousTiff to crochet? The talented women listed on this blog post (and many more that are not featured, but are likely reading). I knew the basics for years, but my "cro-education" materials are the videos and picture tutorials, patterns and blogs created by the very people sharing their stories here. My first hooking experience was shared with my paternal grandmother. My first hooks and giant skeins of cheap yarn were bought for me sometime in my preadolescent years and after I had hooked miles of chains, I was taught double and single crochet stitches. I never did make that blue and yellow afghan I planned to make for myself, I did awaken an alter ego of sorts, she is a crafty brat with a morbid fascination for oddball crochet. This devil on my shoulder is named CuriousTiff, a nickname given to me by my father after disasters of epic proportions were caused by a girl with ravenous curiosity. I learned the basics of crochet as a child from a good friend of my moms and later in school, but it was only a few years ago that it became my passion. During my pregnancy with my little girl, I took the time to watch crochet videos on YouTube. I learned advanced stitches and familiarized myself with all the terminology used. I learned to crochet when my first son was 4 months old. As a stay at home mom, I was in need of a naptime activity. I also knew I could potentially make money from it, so I gave it a shot! I watched tutorials on youtube over and over, and my love of the craft grew from there. It's been 2 years and I'm even more crazy about crochet than I was when I started! Aren't these stories awesome? Thanks to everyone who contributed! I learned from my lovely (and very patient) aunt who is immensely talented. She taught me the basics and from there I got my hands on as much information as I could! Now it's your turn! Please comment below with your special story, we'd all love to hear it...happy crocheting to you! Loved this article.. it was so fun to read how these designers got their start! BUT how did YOU learn how to crochet????? I bought a book on learning to crochet.I taught my self . I had a 2yr old and a new baby and we had moved to Texas and knew no one. So decided to learn. This was about 43 yrs ago. I still love crocheting. I stayed with my grandma the year before I started school. She crocheted with find thread and made fantastic tablecloths, etc. She got me a hook and a heavy thread. I tried to make a circular purse, but instead of laying in a flat circle mine ruffled. I didn't do much more until I was about 9 when I started crocheting with yarn -- which I have been doing ever since. I was given a 'learn to crochet' book for Christmas a few years ago, learned the basics but didn't really see what I could do with crochet. Then I started reading some blogs and looking on youtube, and it all just fell into place! Now I absolutely love crochet, and am so glad I learned how to do it! Thank you for this great article! They're all inspired stories to read. Great stories! Here's my personal story. I'm deaf and I've never crocheted until more than a year ago. When I decided I wanted to start a hobby, crocheting crossed my thought but I thought it was probably harder. So I went to Hobby Lobby to look at crocheting books. Oh my! Look at this "foreign" language of crocheting patterns. What is this? Can I do this? So I decided to study them and look at youtube videos (even though subtitles were crappy) and with some help from my boss who can crochet, I finally nailed crocheting! I've been able to make some awesome things like a baby blanket, hats, scarves, etc. I was 11 and a lady in the Apartments where I lived showed me how. That was back in the day where kids at 11 stayed home alone. I was sick a lot, so I couldn't go to school. And here I am at almost 55 still crocheting and this year I learned to knit too. I got a book to show me how to knit. I was taught to crochet by my beloved mother. I was the youngest of thirteen children who was the only one that mom got to teach crocheting. I taught myself last winter via online videos and a couple reference books. I LOVE it. I'm curious about the people who say crocheting is their job or that's what they do full-time. How do you make money to pay the bills??? It all started with a Granny Square! My Grandmother taught me how to crochet when I was about eight years old. She handed me a G hook and taught me how to chain and double crochet. Many warm memories are of watching my grandmother, sitting in her favorite chair, crocheting - blanket after blanket, doily after doily. I was the skein holder many times, when she had to wind a ball of yarn for a new project. Here's mine. An aunt of mine does the entire needlework - crochet, knitting, sewing, cross-stitch, you name it. As a child, I often visited her home and she'd always be working on some tapestry or dishcloth. I have always been fascinated by the way she knits and crochets since she does them like she invented it. Last year at 23 years old, for a Gender Studies subject, we were supposed to do 'gender reversal project' which means you must do something the OPPOSITE of what you identify yourself with. I had always been a masculine girl and knitting/crochet is often associated as something 'ladylike' and decided - why not? I had always wanted to knit and crochet - this will be a start! It was like a sign. I thought I'd try my hand at knitting. So out I went to purchase knitting needles and yarns and began doing the project. Sadly, I had NO TALENT for knitting. I just couldn't gauge them as well I thought I could do it. Feeling a bit bummed but not wanting to waste such nice yarns, I switched to crochet. I purchased a 3mm crochet hook and VOILA! It worked. I learned crochet more quickly than I did for knitting. It just picked up from there. Mum and my friends who knew about this (I occasionally show off my swatches to them to have them reviewed) said I had a natural talent for crochet and should hone this gift. Some even offered to buy yarns for me so I could make them scarves and thus practice my technique! I am actually currently making the Estelle Button Cowl (also my first actual project after 5 months of practicing) for a friend of mine and I simply love how it is turning out. My first project won't be with me as a proof (ah, oh well) but I am psyched to see my friend wear it. The only babysitter I ever had was a little old lady with pure white hair that hung down to her waist. She would wind it up into a bun on the top of her head.....just a little visual for you all to think about....anyway I digress. I was about 4 or 5 when she sat me down with about the tiniest size crochet hook and a ball of crochet cotton and taught me how to make a chain. I would chain and chain and chain for ever. After several days of this she showed me how to single crochet back across my chains. That was the beginning. It's hard to believe it's been over 50 years since I first learned to crochet! Here's my WHY too: In late 2007, my wife and I had our first child. Complications happened because of something called PPCM. My wife now had a heart pump and I promptly quit my job and moved north to be closer to the hospital and started taking care of my wife and newborn son. Being artistic, I wanted to do something with my time besides drawing... something portable. So, I decided I was going to learn to knit. YouTube to the rescue, and I felt like I was the stupidest person on earth... I just couldn't wrap my brain around it. About to throw in the towel, I picked up a crochet hook, watched a video, and felt like I had found my one true natural talent. I was making medium and hard crochet items my first week. My wife is now over four years post heart transplant and doing well, and our son is a healthy six year old. Because of the disastrous dilemma we went through, I now have a lifelong hobby that I can share with others. 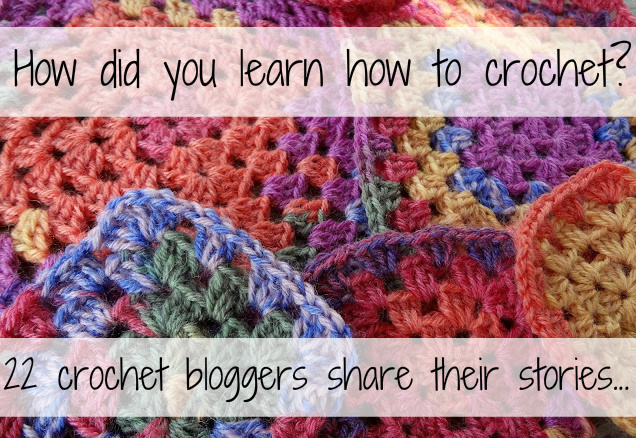 Wow thanks for sharing all these stories of how we all got started in our love for crochet! Great article, it's lovely to hear everyone's stories and how they learnt. My grandma had tried to teach me for years. I did pick up the basic chaining, but never enough to create something I could use. I was home sick and really bored so I decieded to use some of my Christmas gift cards and get some yarn. I bought a set of hooks (plastic) and a bunch of yarn. I looked all over and finally just went to YoutTube and watched videos on doing the stitches, then practiced them on my own. My husband's grandmother was an incredible self-taught crocheter. She never used a pattern and made beautiful blankets for all the great-grandchildren that came along. Unfortunately she passed had passed away by the time my sister in law was pregnant with her second child. I thought that it was sad that this child would not have a handmade blanker from it's (didn't know "it" was a boy at the time :)) so I decided to learn how to crochet so I could make him one. My mom taught me the basic stitches when I went to visit her and that baby blanket was my first project. I made two more baby blankets for my second child and a niece, and then I stopped crocheting. I picked up a hook again about 5 years ago and have not stopped since. I am not a very adventurous crocheter, but I love the process of creating something and often choose repetitive patterns as a short of relaxing meditation. My mom taught me how to crochet when I was 8. My sisters and I would sit in the mornings before school just chaining and chaining and chaining. It was all we knew how to do for the longest time and we would wind our chains into a ball. I think our chain balls were bigger than a softball. I think I was in junior high when I learned anything more than a chain. My mom taught me the shell stitch and I started a blanket that was burgundy and hunter green. I never did finish that one but I've been crocheting on and off ever since. I've even started to teach my 7-year-old daughter how to crochet. I was 7 years old. My mother started by teaching me basic stitches. My grandmother then taught me even more stitches and how to make mittens and so much more. I really enjoyed reading these. Hoe fun to learn how people learned the crochet. What a great blog. Oh, and Thanks for including mine. Amazing Stories... and what is more amazing is the majority of us learned at a young age or when our children were born...Love it! I learned by watching my Mother many years ago, but only really got "hooked" when my first granddaughter was born - 31 years ago. She still has that blanket. You can tell by the wobbly edge that I was learning on it. I haven't been able to stop crocheting since. I have a crocheting ministry through my church now, which my mother, sister and friends participate. It has been a wonderful blessing - taking and stick and string and making meaningful and useful items - an expression of love. My counselor told me that I needed something to help me with my stress. So I looked at some things to do and I picked crochet and loom knitting. The loom knitting was easy yet the crocheting was hard and I had someone teach me yet i still didn't get it at all and I gave up for a while.Then about a year later I picked it up again and taught myself. I love it so much yet people think it's weird that I'm a senior and love to crochet. I thought myself to crochet when I lost my hair to chemo in March of 2012. All of the caps I saw in the stores were ugly and so expensive for what they were. I bought a book to teach me the basics then watched youtube to learn more advanced stitches. It got so I could finish a hat during my chemo and I would donate it to the Image Center at the City of Hope as I left to go home. Now I make blankets, scarves and hats and drop them off once a month. I also make headbands for the little girls who are going through chemo. My daughters call me a yarn hoarder because I buy some every time I find a sale. My mom taught me when I was working towards my girl scout badge for fiber arts. I am very thankful that my mom taught me - forced me rather - (a lefty) to learn all of my needle crafts right handed. My life has been so much easier as a right-handed crafter! For the badge, she taught me to crochet, embroider, cross stitch, crewel and needlepoint. We didn't get to the sewing machine which I wanted to learn because we would have had to escape to her bedroom machine and I am the oldest of 6 kids so we had to do all the crafts which kept us in the living room. The only craft she couldn't teach me was how to knit. She said I got very frustrated and broke my needles. I was a very impatient kid. I have since learned to knit - at least the basics, but look forward to learning to knit even better - eventually, when the day has more hours! Crochet is my favorite of all the crafts she taught me. She can still do all the crafts herself but has gravitated to watercolor painting. Very inspirational for those who want to start out! My mom taught me the basic stitches when I was 6 and I taught myself everything else. Crochet has almost become a part of my personality and I owe it all to the mumps! I can’t really remember when or how old I was when I actually learnt to crochet… it was no doubt both my Mum & her Sister[Dearest Auntie Teanie] as both were wonderful & prolific crocheters… Auntie always doing thread doilies & Mum did all sorts of crochet & knitting – well the full gamut of needle crafts. I do remember my first finished project which was flowers [pink centres with white petals] that I made for my niece when she was 4 & I was 15… Knitting & I never saw eye to eye although I did have to knit myself a jumper at Domestic Science[High School]… Thanks to Mum, it did get finished & I wore it to death, each winter, for the next 20 years[not much need for woolly jumpers here]. So interesting to read everyone's first steps in crochet! I learnt to crochet from a beginner's booklet when I was pregnant with my first baby! There was a yarn shop where I was living at the time and the two friendly sisters who owned the shop helped me when I got really stuck! My first crochet project was a baby blanket in a zig-zag (chevron) pattern! All my babies used it! This was fun and took me down memory lane. My great-aunt taught me to crochet I took a class at the local community center and was the queen of granny squares! This was in the 70's I took a long break and started again when I had my first child in 1996. I'm 51 now, enjoy it, and it's the one thing that has kept me from going crazy during menopause. I have enjoyed reading all of the stories on how others have learned to crochet. I first learned to crochet in a home ec classe in high school but I learned left-handed. Soon after I learned most patterns are written for right handers. So I decided to take a crochet class offered by the near by tech collage after I finished collage and was living on my own. I learned how to do crochet with my right hand I have been crocheting for 30 years now. I enjoy it so much. I really enjoyed the blog article and reading everyone's stories on how they learned to crochet, which is inspiring me to tell my story. I always admired my Godmother because she could crochet and create an item faster than anyone I'd ever seen. I can't remember if it was her or my mother who taught me how to crochet a chain and even tried sc. For the longest that's all I knew how to do. Jump ahead to the mid 80's and a co-worker of mine in the Navy tried to teach me to make a granny squaure, I got it, but without her in front of me to guide me I lost it just as quick. But I was inspired and bought a book, yarn and hooks, but it did not last long. Jump again to the mid 90's and I purchase more books, but still could not get it. One last jump to 2010 when I decided to look online. I did not really like the YouTube videos because they either went too fast, too slow and did not all have the proper terminology for a beginner wanting to learn the right way. I found this site (Nextstitch.com) which has videos and written instructions and have taken off from there. I tend to get bored with bigger projects and usually have serveral going at one time. I just HAVE to crochet, it make me feel better. I learnt to crochet just under a year ago by watching utube videos, that got me looking a crochet and craft blogs, which led me here! 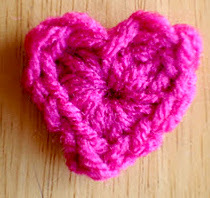 Which in turn led me to create my own blog, something I had wanted to do for ages - In two weeks time I will be teaching my fellow Women's Intitute ladies how to crochet a Granny Square. Great post. I found this article through Pinterest on 6 December 2015 which is awhile after it was posted. I want to share my story too. I do not remember learning to finger crochet chains. But I made lots of them through elementary school. I shared with my friends and sister, and we all wore them like ribbons in our pony tails. My mom began working on an afghan, ripple/chevron pattern, when I was about 9. I wanted to crochet also, so to Kmart we went to buy my a skein of yarn. I also began a ripple afghan, but I never completed it. However, it was used as a kitty blanket for many years. While in high school I began crocheting again. I made myself apink shell stitch afghan. I also made a baby afghan for one mom I babysat for. In college, I continued to crochet now and then, keeping with the shell stitch as that is what I knew. Then one day in the magazine and coffe shop on campus, I found a magazine of Christmas ornaments. Reading that magazine I learned about gauge, the appropriate hook for the size yarn, and how to read patterns. Until that time I used a G hook for everything! There were a few thread ornaments in that magazine also, and I worked until I figured out how to do one of those also. Since then I have crocheted most days - especially while on bed rest with my second baby. I have taught my daughter to crochet and worked with others when requested. I make baby blankets for Sav-a-Life, friends, family, scarves, shawls, hats, doilies, thread ornaments, a tablecloth, a couple of toys (not really my thing), dishcloths, pot holders, ponytail holders, pillow covers, edgings for blankets, pillowcases and towels. I almost always have 10 to 15 things in progress. Sometimes I use patterns, sometimes I make it up as I go. It has been 39 years since that first afghan I never completed.